I live and work in Bath, which is a mere 11 miles or so from Bristol. It is safe to say that I have slept better this entire week knowing that Bristol has a Contingency Plan for Handling Zombie Outbreaks in Bristol. Zombie specialists will of course know that Bristol’s plan is part of a concerted effort by concerned citizens to know what exactly local councils have planned when the undead strike. We here at the Death Reference Desk have been following these various Zombie developments. You can read those stories here. And while it’s true that these Council plans are delivered with a wink and nudge a person can never be too prepared. 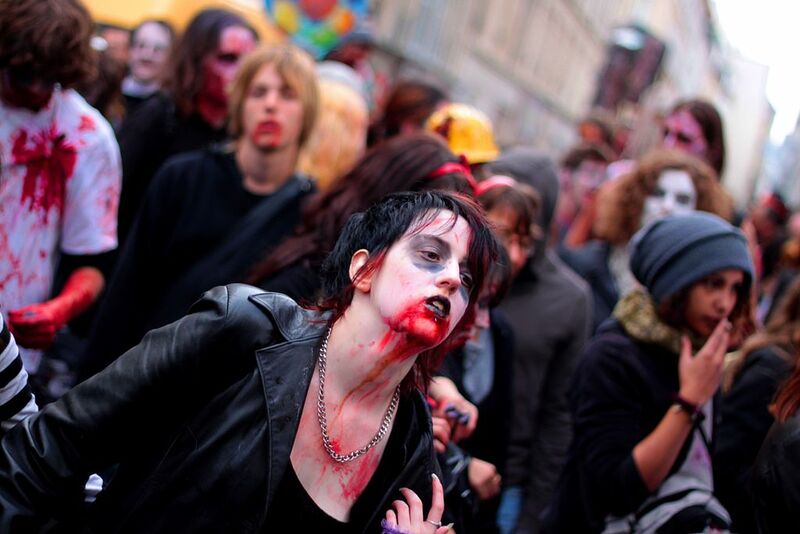 As long as Bristol has Stokes Croft, the possibility of Zombie attack is imminent. Indeed, I bet we’ll see Zombies in Stokes Croft before we ever see a Tescos. Posted by John in Death + Humor, Death + Popular Culture and tagged disease, marketing, zombies. Bookmark the permalink.